On the eastern shores of the Lake you’ll discover hippos and crocs. Expert licensed guides take you along the less explored areas and highlight the fascinating wildlife of this UNESCO World Heritage Site. Bird lovers are likely to encounter fish eagles, unique mudskippers and waterfowl. Visit Honeymoon Bend – an old favourite! A short paddle on St Lucia Estuary. Snorkel and sea kayak in the wilderness of Cape Vidal’s Catalina Bay, away from any roads and habitation. The less adventurous can take boat cruises on the lake and game drives on the Eastern Shores of the wetland park. St Lucia Kayak Safaris are easy to include on any visit to Northern KwaZulu-Natal. 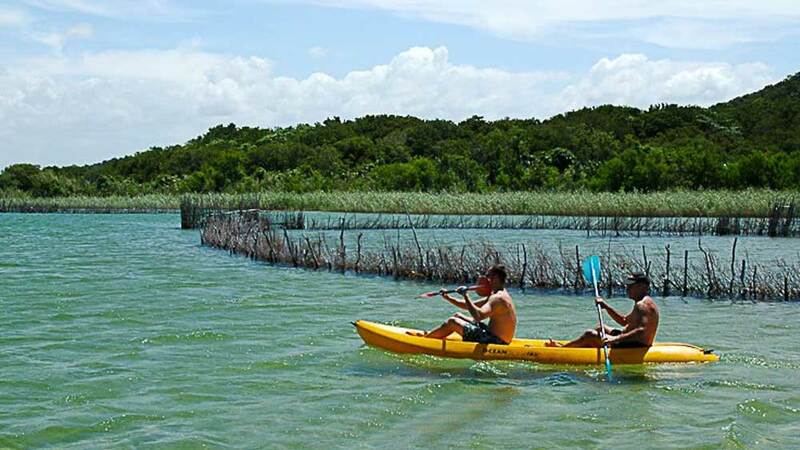 St Lucia Kayak Safaris is pat of the Wetland Park Group, which includes Umkhumbi Lodge and Amangwane Kosi Bay. Perfect for a father & son adventure escape.